Coming in 2019, Honeycomb Music Recording Artist and Poet Janine Lyons will release her first EP titled Epiphany. This new project is something different for the Honeycomb Music label-- showcasing Janine’s unique poetry over the original music of Honeycomb CEO Josh Milan. Janine’s powerful messages and stylistic delivery will surely command our attention. 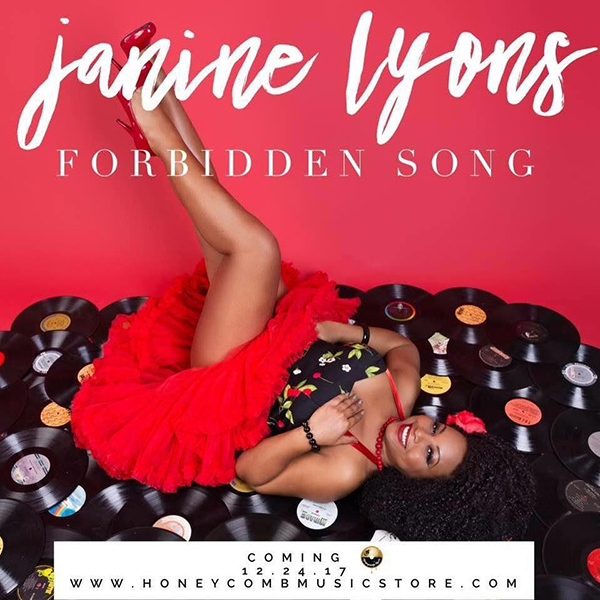 On Sunday, December 24, 2017, Honeycomb Music released “Forbidden Song,” Janine’s second single from the forthcoming project. 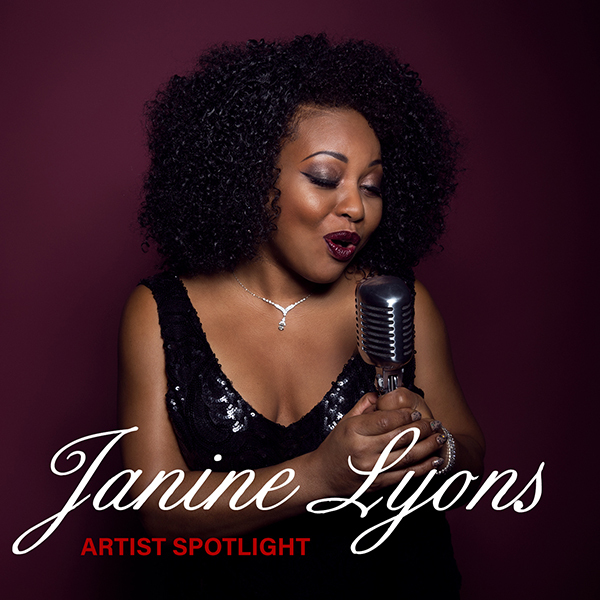 Janine Lyons took time out of her busy schedule to share her experiences as a Honeycomb Artist, discuss her poetry album, reveal what inspires her, and share her thoughts as a Poetess in today’s music industry. Enjoy the conversation! Janine Lyons!!! Congratulations on your forthcoming album Epiphany and congratulations on your single “Forbidden Song,” which includes several mixes by Honeycomb CEO Josh Milan. How did you first meet and begin working with Josh Milan, who you clearly have a natural rapport with? And what was the initial seed that has blossomed into Epiphany, which will be released in 2019 on Honeycomb Music? I had always been a fan of Josh Milan. In 2012 I saw him at the Winter Music Conference in Miami. I introduced myself and handed him my promo CD that had my name written with a Sharpie marker. Josh was very gracious and said he would take a listen, and that he was doing an upcoming poetry album that I may be perfect for. I was immediately excited, but I honestly didn’t know if he was serious because at these events you speak to so many industry people about collaborating together, but they rarely follow up. About five months later, I received a message from Josh. He was contacting me about the poetry project -- a man of his word! What a rarity in this business! Here’s the funny part. He says to me, “If I were Clive Davis looking for you, I would have never found you. You had no contact info whatsoever on the CD you gave me!” We laughed and this became a running joke between us. He had already taught me an important lesson: don’t assume because you’re connected on social media that people will know who you are. From then on I took the time and money to invest in printing my CD cover promos professionally with all of my contact info. And that’s how I eventually became one of the Raw Honey poets featured on Honeycomb’s poetry album Happy in 2013. I was also honored that Josh Milan included his vocals on my song for the project called “Happy and Free.” That was a major turning point in my career. Being a part of Raw Honey eventually led to my current project, Epiphany. So this is how Josh and I developed our great rapport. Great story Janine. Can you talk more about working on the Raw Honey project? How has this collective group of talented women influenced your own work as a poet-performer? Working on Happy with Raw Honey has been one of the most amazing experiences. All nine of us were hand-picked by Josh Milan to be part of the group, which is a different approach; some of us had never met prior to the project. And I had never been a part of a group before, so it was a new experience for me as a poet. I was inspired by all of the women in different ways. And Josh had a vision to create something very unique for each of our poetry pieces. Yes, it’s a beautiful album. And for those who do not know, Happy was released on Honeycomb Music back in November 2013 as a FREE download. And it is still available! Yes! Please download and enjoy your free copy of Happy!! So Janine, on the Raw Honey project as well as other songs you have released over the years, we know you by the name Brown Sugah. And in fact, you have so many fans who know and adore you as Brown Sugah. Can you tell us about your decision to use your given name, Janine Lyons, on this new project rather than Brown Sugah? I’ve actually performed under several monikers. Most people don’t know that Queenette is my first name and I used that name in the 90’s. I am named after my mother, Queen Esther. I never liked the name Queenette as a child, but I truly love and appreciate it now. On the first day of school as a child, I would ask my teachers to please call me Janine, which is actually my middle name. An ex-boyfriend of mine always called me Brown Sugah, and I decided to perform under that moniker with the intention of changing it at some point, but the name just kind of never went away. Try googling “Brown Sugah,” there are a million of them out there! [laughter] Then there is Sugah Lyrics, another alter ego of mine. When Josh Milan and I discussed this project, he said to me, “I think I know who Brown Sugah is, but who is Janine Lyons?” I realized that Janine Lyons certainly has a lot to say. Life is about evolving and growing, and I was certainly ready for the change. Janine Sugah Lyrics Lyons connects all my names together. Thank you for sharing that. So in March of 2017, Honeycomb Music released “I Need To Dance,” your first single as Janine Lyons. This release has been very successful-- in large part due to your uplifting message about the healing power of dance. How did this song originate? And how have listeners and dancers responded to it? First and foremost, I am a dancer! And so are many of my peers in the House Music community. When I have conversations with many of my friends we are always saying, “I need to dance.” Many of us are dealing with a lot of stress in our lives. I constantly hear people venting and looking for ways to release their tension. “I need to go dancing!” is the constant mantra! Because if you are a true dancer and music lover, you understand that dance is a form of therapy, a powerful outlet. The lyrics-- “I need to dance to ease the pain, I need to dance it keeps me sane”-- speak to so many of us. And since releasing the song, I have had people come up to me and say, “that song speaks to me” and “that’s exactly how I feel when I’m dancing!” I am beyond happy that so many people are connecting with the messages in the song. We all need to dance right now with so much negativity in the world! I love the “Brooklyn Mix” too. I think it’s dope and intricate. You would have to dance with more musicality on this particular mix. It has an Afro feel to it which I love. I could dance to that mix for hours. So regarding the intersection of poetry and music, I was speaking with Honeycomb Music label manager Adam Cruz. He was discussing the idea that with House Music vocals, the singer’s vocal phrasing or hook tends to grab the listener's attention. When spoken word or poetry meets House Music, sometimes it's hard to hear the words because they have a tendency to get buried underneath the music. Josh Milan was able to really highlight your spoken vocals on “I Need To Dance,” so that we do not miss a word. Does the accompaniment of music underneath your poetry influence the way you record or perform live? Have you ever considered singing as well? Yes, I agree with Adam Cruz. This is my biggest challenge-- not being drowned out by the music especially when performing live. When I’ve worked with producers in the past I would ask only one thing of them: please don’t drown my vocals with the music. My particular vocal styling tends to be very soft. I don’t yell and scream when I am performing my poetry. Josh Milan gets it! He knows how to marry the vocals with the music perfectly, so both are crystal clear. This only proves you don’t have to raise your voice just because you are performing poetry over music. Having the accompaniment of House Music is something that was new to me. That “four to the floor” rhythm pattern is serious! The music definitely influences the performance and the way I record. And I really prefer to record over a track as opposed to sending vocals separately. It’s more authentic; my enunciation, pauses, ad libs are more natural, more fluid with the music. Well maybe we just may hear you sing one day! So in addition to “I Need To Dance,” which celebrates the spiritual-physical-emotional connection between music and dance, what other topics do you address on your forthcoming project? And are there any surprises we can expect to hear? Oh yes, on the Epiphany project I address topics close to my heart that affect me on a personal level for sure. I have a song called “Her,” dedicated to my mother who is currently battling Alzheimer’s disease. I have another song called “Sandra,” dedicated to Sandra Bland. Her senseless arrest and murder, and so many others, really resonate with me. There is another song titled “So Many Hims,” and there is even an interlude called “Time.” This interlude is a bit aggressive and probably not the language I would usually use, so that may be a surprise to some. I am really looking forward to every track on Epiphany. And let’s talk about collaborations. In addition to Honeycomb’s Raw Honey collective, you did collaborate with Josh Milan on his double-album 6.9.69 for which you wrote and performed the poem on the track, “My Big Brother.” Please tell us about that experience as well as any other artists that you would love to collaborate with in the future. Yes, of course you are allowed to dream! So as a music lover and collector myself, what artists do you listen to? What are your go-to albums? What artists influence you musically and lyrically? I am a big fan of all genres of music. If I were ever stranded on an island and could only take one album with me, I would have to grab Stevie Wonder’s Songs in the Key of Life and run! [laughter] But seriously, I think Stevie can soothe just about every emotion I might have. He gets the top spot. But there are so many other artists that I love. I could be listening to Jill Scott one moment and Prince the next. I might rock Biggie or Raphael Saadiq or old school Mary J. Blige, especially if my heart is broken. Lately it has been Josh Milan’s 6.9.69 album; I hear something new in it every few weeks. I’ve also been listening to John Coltrane these days. Out of nowhere, I may dust off my Grease soundtrack album. It just depends on my mood at the moment. One of my favorite Jazz songs is “Take Five” by Dave Brubeck. I’ve performed many poems over that song and I appreciate Funk as well. I also like Natalie Stewart of Floetry. I like how she so effortlessly flowed under Marsha Ambrosius’ vocals. Lyrically I love Rakim, Biggie, Nikki Giovanni, Anais Nin, and the simplicity of Maya Angelou. I enjoy anything that is not overdone with revolutionary clichés, but with powerful, heartfelt messages. Well that’s a very talented, eclectic list of artists. When did you begin writing, publishing, and performing your own poetry? And how often do you write? Is it part of your daily routine or do you write only when the inspiration calls? I started writing poetry in 1995 and started performing in 1997 at various open mic poetry café’s in New York City. My first published poem was in a book called A Grasp of Eternity, titled “Yesterday” back in 2001. I write the most when I am inspired or in pain. I like when I am working with a music producer and they already have a concept. 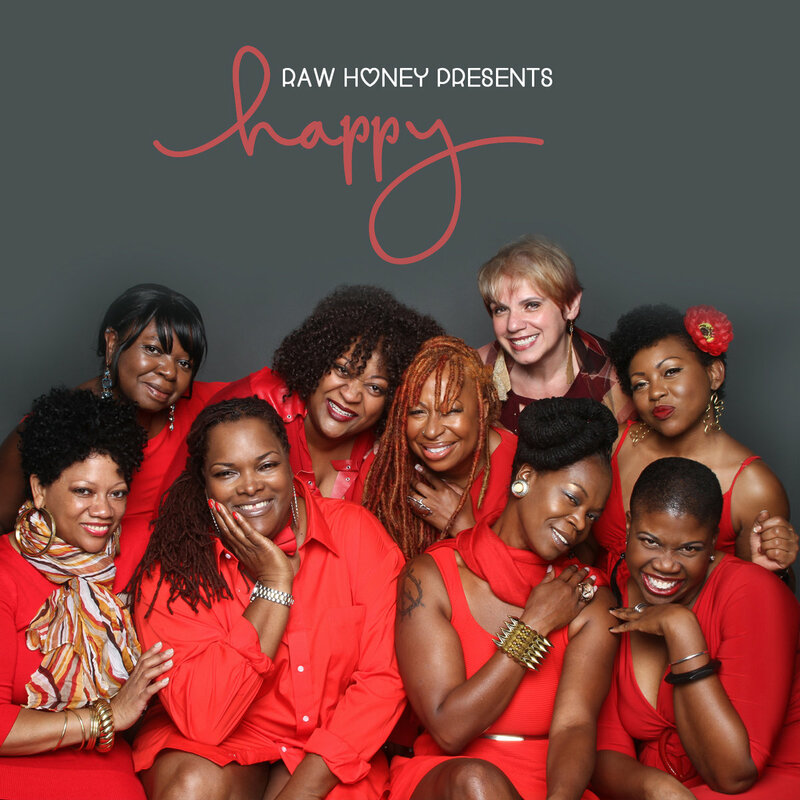 Josh Milan’s Happy project with Raw Honey was a perfect example of that. I like the challenge of bringing the producer’s concept to life. That kind of collaboration forces you to write specifically for that topic. I can’t say that I write poems daily. Sometimes an idea may come to me and I’ll jot down my thoughts and then revisit them later. Sometimes those little notes to myself help me with the direction I want to go. Then there are times when I can write a whole poem at once because the words literally jump out at me. Who are your influences as a poet? Poetically I am highly influenced by Jessica Care Moore. She is so dope! She was the first poet to win “Live at the Apollo” in 1995 with her poem “Black Statue of Liberty.” I remember thinking how amazing that was-- that a poem could be so relevant to win at the Apollo Theater. That particular poem influenced me the most. Two years later I performed one of my first poems called “Black Man” at an open mic and that’s when it really started for me. I received a very good response and I wanted to do it again. So you were hooked from the start! As a high school English teacher, I often find that poetry-- as both a creative writing form and a reading genre-- has fallen by the wayside in schools. What are your thoughts on this? I totally agree. When I was in high school, creative writing wasn’t often encouraged. You either read the greats like Walt Whitman and Shakespeare or nothing at all. I think creative writing in schools should not only be encouraged, but should be mandatory. Everyone has a story deep down inside to tell. This form of creative expression is so important for both mental and emotional health. Allowing students to write creatively would help teachers understand their students on a deeper level. You never know what a child’s reality is, and their perception of it affects how they relate and maneuver in this world and in society in general. Not to mention we could have the next Walt Whitman, Robert Frost, and Sonia Sanchez out there whose talents were never discovered because they were not exposed and trained to tap into them in school. Yes! I couldn’t agree more! Yet there are not many poets/spoken word artists doing what you’re doing-- putting out poetry projects layered over music, especially House Music. What advice do you have for future spoken word artists in terms of pursuing this professionally and putting out recorded material over music? The best advice I could give is to be YOURSELF! There are some spoken word artists that sound a lot like each other. These particular artists are talking about the same topic. If one person makes a song about dancing, party life, womanhood, etc., we don’t need three more artists talking about the same thing. Try to be original and true to yourself. For example, if you’re really not a dancer, why are you even talking about dancing and bringing out the baby powder? If you’re really not a House Head, how can you talk about House Music? Some spoken word artists have heard someone else say it and they think it sounds deep, so they imitate. That to me is not being true to yourself. My second piece of advice is to never let a producer rush you into a project. This tends to happen when working with producers who are overseas that are also new to this specific genre-- House Music-meets-spoken word. They always have these deadlines and they need your spoken vocals by yesterday! Make sure the arrangements are expressed in a written contract. When both parties are rookies, both parties make mistakes. So you agree to meet their deadline because you’re new and on your grind. Great art cannot be rushed. (I learned that from Josh Milan as well.) Take your time and when you feel it’s right, that’s when you send your vocals. But be sure you, the artist, are happy with your performance. I’ve made that mistake as a new artist and it’s horrible to listen back and know you could’ve done so much better had you taken your time. What’s also upsetting is that some overseas producers will put that song out regardless of how you feel about it, including different mixes released months or even years later. And there is very little you can do about it because they are in another country. I cannot stress enough the importance of having everything spelled out in a written contract. Great advice! So let’s talk about artwork for your new project. Janine, you are a natural beauty--both inside and out. And you are quite photogenic-- as we have seen with all of the lovely photos you have shared across social media to introduce your Honeycomb releases. Is this the first time your face has been featured on the cover of your releases? Thank you Amanda, I appreciate that compliment. I’ve done quite a few songs in the past where my face was not on the cover. I wanted to do something special for this project. I knew exactly the image I wanted to display when I released “I Need To Dance.” I wanted that photograph to speak and breathe the power of dance-- so I chose the top hat, blazer, and pose. I was inspired by old Broadway shows and songs like “Puttin’ on the Ritz” to give it that feel. I knew this time around I needed to invest in a great photo shoot. It was important to me to represent myself and the Honeycomb brand in the best possible light. Yes, branding is important. And I know that the Honeycomb artists play a huge part in promoting their projects via social media and through live performances. Can you tell us about some of your performances to promote the project and spread your love of poetry and music? Yes, absolutely! First let me say that 2017 was challenging for me physically. I had two medical procedures on my knee due to a torn meniscus (20 years of furious dancing has taken a toll). So I had to sit out for most of the summer. That being said, I was truly blessed to have graced the stage in June of 2017 at Honeycomb Music Presents Josh Milan’s 3-Day Boat Cruise to the Bahamas. I performed along with several other Honeycomb Music artists. In August of 2017, I had the awesome pleasure of performing at the Soul Summit Music Festival in Fort Greene Park, Brooklyn. This was an impromptu performance and an incredible experience. Sometimes you just have to go with the flow! The love I received from my hometown of Brooklyn was incredible. And I want to formally thank Sadiq Bellamy and the whole Soul Summit Music team for their consistent support. In October of 2017, I performed at the Best of Both Worlds. It was a Halloween House Music weekend getaway in Pennsylvania. I usually perform only a song or two, but at this weekend getaway I had a whole 45 minutes to share my stories with the audience. I guess you can say it was a mini “Janine Lyons” concert! It was amazing! You have been very busy! Can you talk about performing at Lil Ray’s 24th Annual ClubHouse Jamboree in Prospect Park, Brooklyn. I know this event means so much to you. Yes! I was born and raised in Brooklyn not far from Prospect Park. And I have attended Lil Ray’s Annual Jamboree for 20+ years now as a dancer. It is always an amazing experience just to be there, but to be on stage as a performer made it incredibly special. I was truly honored and excited when Lil Ray invited me to perform. And your performance was excellent! I was there in the audience! So what is next for Janine Lyons? Are you thinking of making any music videos to accompany the Epiphany album? And will there be a follow-up poetry project in the near future? I would love to make a music video to accompany this album and also one day write for other vocalists. That is definitely in the works. I am all for working on another poetry project somewhere down the road, whenever that might be. I hope to be blessed with more stories to tell. What I do know is I love to write thought-provoking lyrics and I LOVE performing and connecting with the audience. It makes me feel like I’m a part of a collective-- something bigger than just myself. I'd like to thank Josh Milan for this opportunity. Honeycomb Music Artist Janine Lyons, thank you so much for your time! 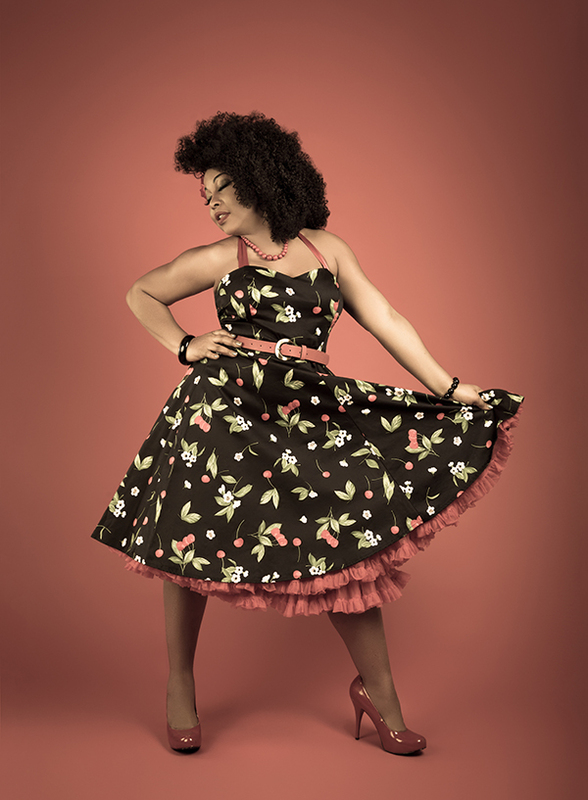 We are all excited for your poetry album Epiphany coming out in 2019 and we will continue to support your singles, "I Need To Dance" and “Forbidden Song” on www.honeycombmusicstore.com.